By the late 1960s ROAR (Remotely Operated Auto Racers), the governing body of the sport was holding national events in the USA. A few years later the UK followed suit with Ted Longshaw and Keith Plested forming the BRCA in 1971 to coordinate and organise the racing of radio controlled cars within the UK. Many manufacturers were making cars during this period such as Delta, Kyosho, Mardave, PB, Dynamic which begged for organised international competition and a stage for the best drivers in the world to race against each other, by 1973 the European Federation of Radio Operated Model Automobiles was formed and they held the first European championship race in 1974 which was won by Mr V Merlotti in Modena Italy. A few years later following the sucess of an invitational world cup event held in the USA in 1977, Ted Longshaw formed the International Federation of Model Auto Racing and the first world championship was held in Geneva in 1979 for 1/8th circuit racing. British driver Phil Booth took the 1979 world title driving a British manufactured PB racing car, a feat which no British driver has repeated in this class of racing. During the early 70s the only class of racing was 1/8th Circuit, the cars during this period were simplistic in design a two wheel drive suspension-less flat bed chassis with a single speed gear box and were constructed from various chassis materials from fibre glass to aluminium. Throughout the years these chassis have evolved to include four wheel drive, multiple speed gear boxes, fully independent suspension, advanced aero dynamic front splitters, fully adjustable geometry and use advanced materials such as aircraft grade aluminium, carbon fibre, titanium, delrin and kevlar. A similar set of materials used within F1 and other full sized motor sport. The BRCA has since diversified to cover many different classes of racing ranging from micro off-road to large scale touring cars, but the 1/8th circuit section has maintained a steady level of interest and a core of die hard racers who fight for the national championship every season. In the past the section has held championships for Saloon, Formula 1 & Sports Prototype style body shells. Chris White being the only driver to do the triple in one season, but in this modern era of racing the only body shell of choice is the Sports Prototype style due to it's superior handling characteristics. For over fourty years the BRCA has crowned a national champion in 1/8th circuit, some of the finest drivers in the country have held this title and some have even repeated this on multiple occasions, we have a strong international team of drivers that compete internationally and are among the finest drivers in the world. 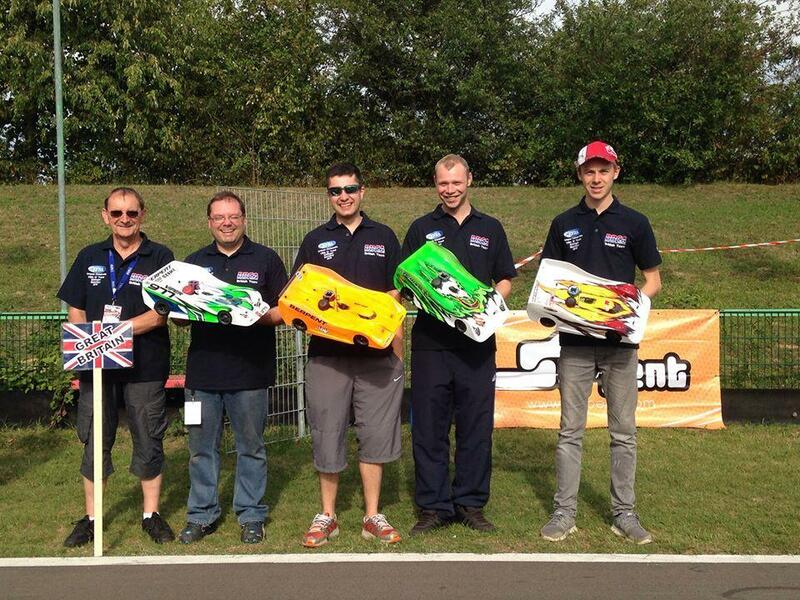 With Steve White taking the European championship back in 1984, Kyle Branson taking the European vice championship in 2013 and Mark Green claiming the same accolade in 2014. 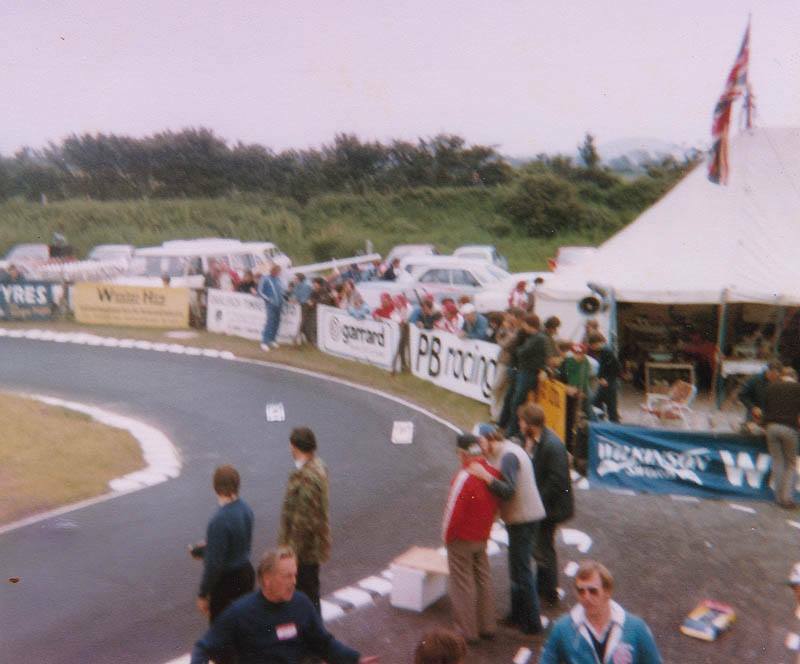 The history and heritage of this class of racing is far too rich to fit into a small article such as this but we at the BRCA encourage anyone with an interest in motor sport to attend a BRCA national and see what this sport has to offer. 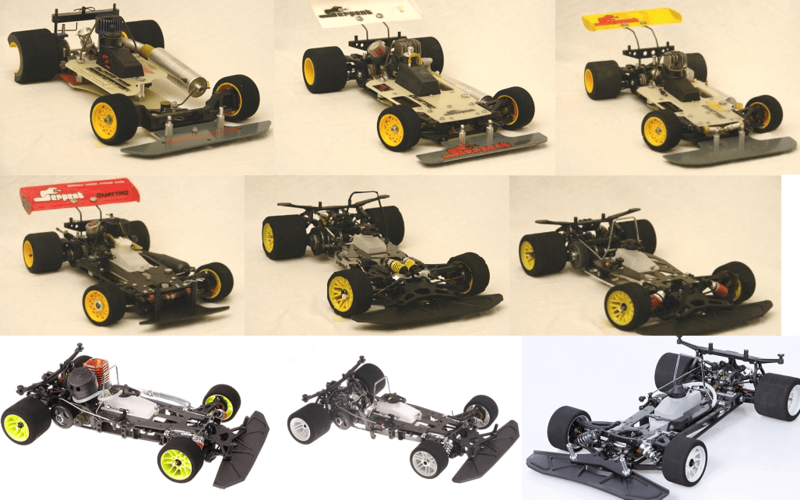 Special thanks to Michael Salven at Serpent for allowing the use of their photographs showing the evolution of the 1/8 racing car.